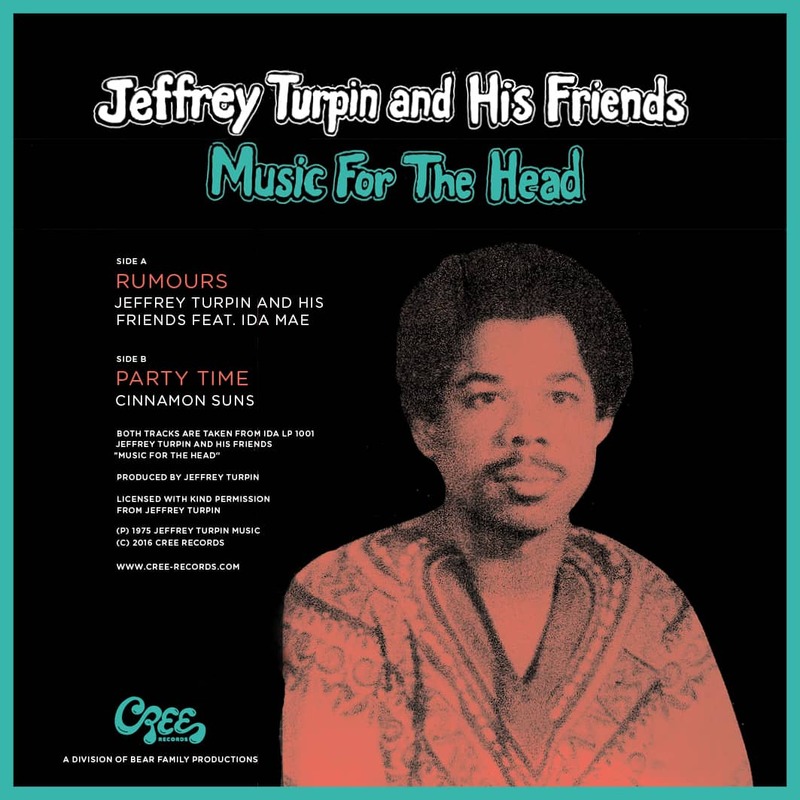 'Rumours' and 'Party Time' – two up-tempo soul/funk tracks with a caribbean feel, produced by Trinidad-born producer and songwriter Jeffrey Turpin in the early seventies in New york. Jeffrey Turpin is considered one of the pioneers of the local pop-scene music industry in Trinidad & Tobago. Born in 1944, he got involved into music production in his teenage years in the early 1960s. He started to produce and manage bands like the Strollers, the Sparks (who would later become the famous Wildfire), Mighty Pancho, Bert Baily & the Jets, and the Five Fingers Combo. In 1966 he discovered the now legendary artist Mavis John who's first recordings, a cover version James Brown's 'It's A Man's World' (as the B-side for a Strollers track), became a huge hit in the Caribbean. Having troubles in the music industry in Trinidad he decided to leave for the U.S. in 1968 to work there in the music industry. Through a friend's sister he met Dee Dee and Brook Benton and his future wife, their niece Ida Dixon. He started to record several artists from the Caribbean and the U.S. at Broadway and Coordinated Studios in New York, including Mavis John, Dee Dee Benton, Johnny Braff, his wife Ida Nixon (she also gave name to his label and record shop IDA records), the Cinnamon Suns and his own band the Jeffrey Turpin Experience. The Cinnamon Suns' (a band consisting of band members coming from several Caribbean islands) first album 'Getting It All Together' was recorded in 1971 and contained the track 'Reggay Express' which became a huge hit across the Caribbean. It also featured the song 'Party Time' and some cover versions of latin and soul songs like 'Soul Limbo' and 'Columbia Boogaloo'. Still trying to establish Mavis John as a solo artist he recorded a demo of 'Rumours' that Dee Dee Benton had written to offer it to Atlantic Records. While Atlantic Records refused to release it, Jeffrey decided to release the song on his own label IDA Records. The track was also recorded by his wife Ida and released on a single on his label. In 1975 Jeffrey decided to put together a compilation of his recordings under the name of 'Jeffrey Turpin and his friends'. The highly collectable album features songs by Johnny Braff, Ida Mae, Dee Dee Benton, and the Cinnamon Suns. The two most exciting songs from this compilation are now reissued on a limited 7" (500 copies) on Cree Records. Thanks Mr. Turpin for giving us 'music for the head – and the feet'! 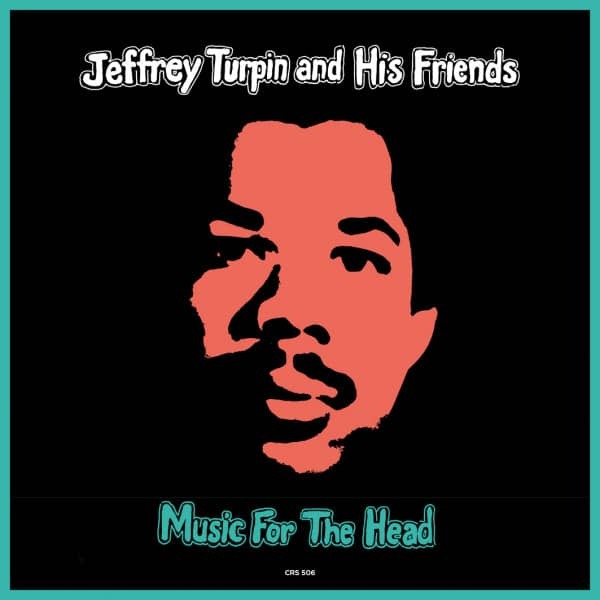 "Jeffrey Turpin & His Friends"
Jeffrey Turpin is considered one of the pioneers of the local pop-scene music industry in Trinidad & Tobago. Born in 1944, he got involved into music production in his teenage years in the early 1960s. He started to produce and manage bands like the Strollers, the Sparks (who would later become the famous Wildfire), Mighty Pancho, Bert Baily & the Jets, and the Five Fingers Combo. In 1966 he discovered the now legendary artist Mavis John who's first recordings, a cover version James Brown's 'It's A Man's World' (as the B-side for a Strollers track), became a huge hit in the Caribbean. Having troubles in the music industry in Trinidad he decided to leave for the U.S. in 1968 to work there in the music industry. Through a friend's sister he met Dee Dee and Brook Benton and his future wife, their niece Ida Dixon. He started to record several artists from the Caribbean and the U.S. at Broadway and Coordinated Studios in New York, including Mavis John, Dee Dee Benton, Johnny Braff, his wife Ida Nixon (she also gave name to his label and record shop IDA records), the Cinnamon Suns and his own band the Jeffrey Turpin Experience. Customer evaluation for "Music For The Heads (7inch, 45rpm, Picture Sleeve, Limited Edition)"